Fluffeh-licious and you know it! Finally my long-awaited post is here! I’ve been promising Part II of my latest Food Odyssey (Dinner Roll Odyssey) for a while now, and at last the time has arrived! I love bread and I love buns and homemade bread is the best there is, I think. I like knowing that there are no preservatives or unwanted additives, and the smell of bread baking in my condo just fills me with a sense of satisfaction! 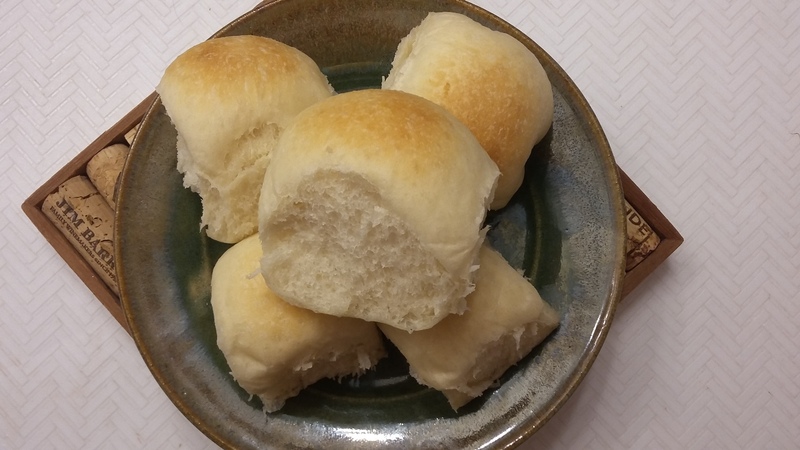 The first recipe in my Dinner Roll Odyssey was Copycat Texas Roadhouse Rolls. They were quite nice. But I’m in search of GREAT! So I did some googling and came across a recipe from The Kitchn, called Soft and Tender Dinner Rolls. I made them. They were also quite nice! But they didn’t have the flavour that I was looking for. So I decided to play around with the recipe a bit. I reduced the sugar by a tablespoon, and eliminated the milk. I added in another half cup of water along with a heaping tablespoon of milk powder. I’ve found that in other recipes, using milk powder instead of milk gives a nice caramel undertone, so I thought I’d try it in this recipe too! And oh, the fluffiness of these rolls! IT’S. SO. FLUFFEH!!!! 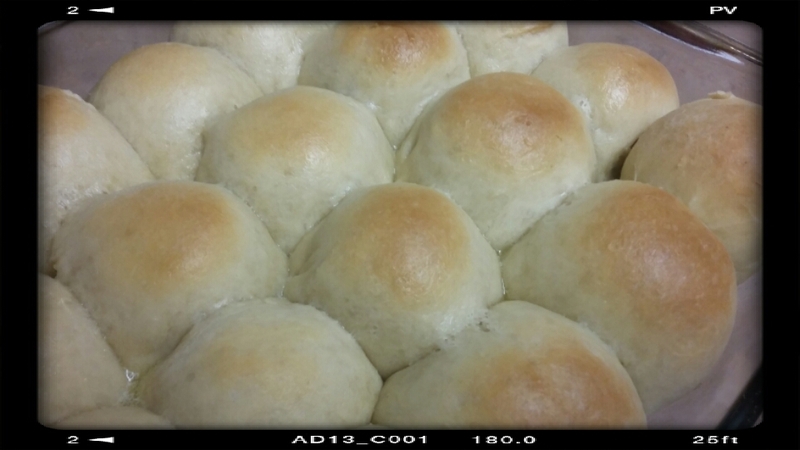 They’re pillowy soft and very airy, almost Kaiser bun-like in texture. They’re definitely the most like store-bought buns in terms of texture. The flavour still isn’t what I wanted, but these buns are PERFECT for “sopping up the last bits of sauce”, as the article in The Kitchn notes. The winner-winner-veggie-chicken-dinner for this particular Food Odyssey? Well…it’s a split. The Copycat buns win for flavour, but the Soft and Tender rolls win for texture. Frankly, they’re both homemade bread, and fresh bread is just the best. But why don’t you try it out and let me know what you think? Here’s the recipe! And I can just say one last time…IT’S SO FLUFFEH!!! Mix the yeast and the warm water until the yeast is dissolved and let sit until the mixture is slightly foamy. Mix the milk powder and the water together, and add to the yeast mixture, along with the oil, sugar, salt, and the egg (beaten). Mix resultant mixture lightly. Add in the flour and mix (so much mixing, I know, but you’re almost done!) until a dough forms. Put the dough in a lightly oiled bowl, cover, and let sit in a warm area until roughly doubled in size, about an hour. Line a lasagna tray (roughly 9 by 13 inches) with parchment paper. 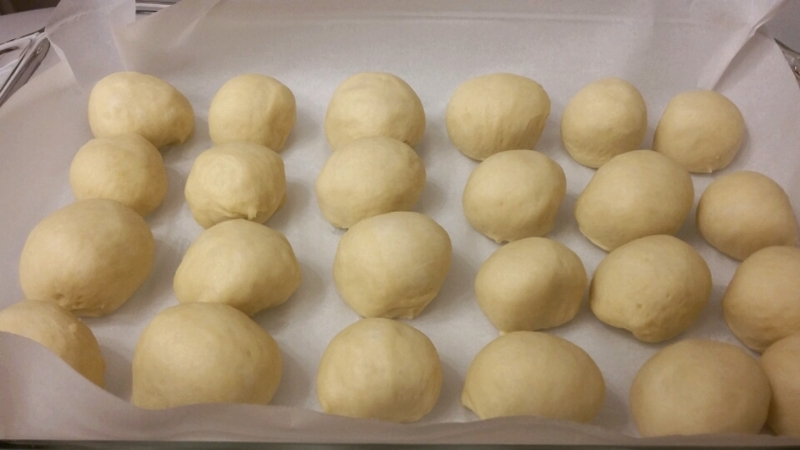 Divide the dough into 24 pieces, roll into balls and place in the prepared tray. Put back in the warm area until the dough is doubled in size, about an hour. Brush melted butter over the top of the dough, and bake in a 375 degree Fahrenheit oven, until the tops of the buns are golden brown, about 15 minutes. Let sit in the tray briefly to cool, and then remove the parchment paper from the lasagna tray, and break apart the buns to serve warm. If you want o serve the buns cold, you can let the rolls cool in the tray, and only break them apart once you’re ready to eat them. That way the sides remain nice and soft! Kitchen Hack: For a “warm area”, I just preheat the oven to 200 degrees Fahrenheit when I start mixing the yeast and water, and then turn it off as soon as it preheats, and open the door for about 30 seconds to let some of the hot air escape. The resultant temperature is just right for the “let sit in a warm area” that bread recipes are always talking about. These are great buns to freeze, and I’ve made several batches and stuck them in the freezer for lunch sandwiches, to serve with soup at dinner, or just for a midnight snack, warmed up in the microwave with some butter. Mmm….bread! Next Post: Skor Mini Cupcakes! Mini chocolate cupcakes topped with chocolate buttercream, toffee bits, and a piece of Skor bar! So pretty, and more importantly, so yum! 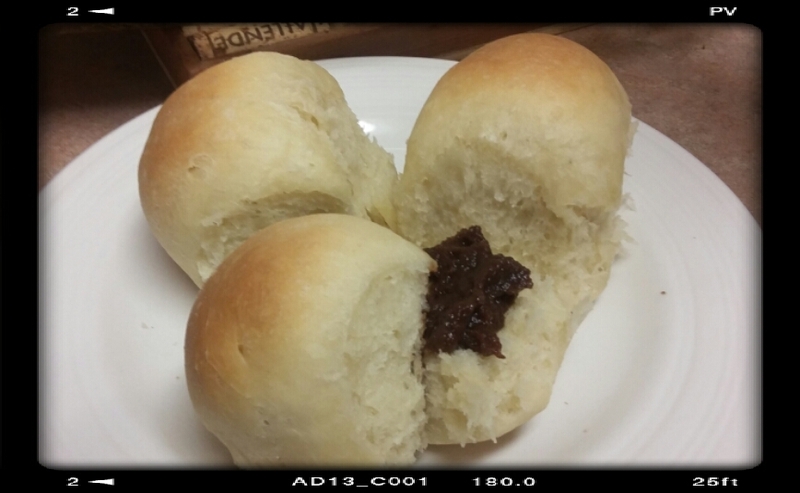 This entry was posted in Breads, Food Odyssey on June 17, 2016 by Margaret.